The Art Museum: "100 Suns Exhibit"
I saw an exhibit of Michael Light's (Full Moon, etc.) at the Knoxville Art Museum that I had forgotten to add this blog, until seeing the new Indiana Jones movie reminded me (also, Ohighway's book blog entry reminded me the second time, thanks!) 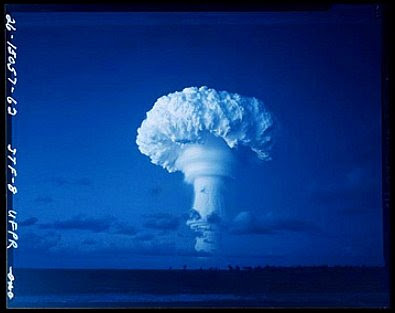 Light has revived and reprinted archival images from government prints and negatives, and put together a large book and exhibit displaying the visual awe, wonder, and terror of nuclear bomb test clouds and plumes. From his website/book: "A Note On The Photographs - The images in this book show U.S. atomic detonations from the era of above-ground nuclear testing, which lasted from July 16, 1945 to November 4, 1962. 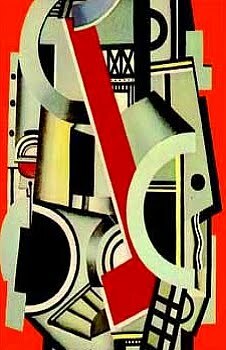 In that time, the United States conducted 216 nuclear tests in the atmosphere and oceans, and the Soviet Union conducted 217." For the exhibit, the prints are enlarged to an average of 2'x3' feet in size, and the beauty of atomic energy itself is very evident. It's easy to understand why people who lived in Las Vegas used to go to the edge of town to watch the blasts, back in the day. The visual effects are amazing, and in the night images one can imagine how it might look to see stars being born in outer space when gazing at all that shining power. Back here on earth though, that power can be very detrimental. The exhibit was non-judgemental politically though, as far as I could tell. Light merely presents the glowing test blasts and clouds as they are, at the point of capture by various government personnel. 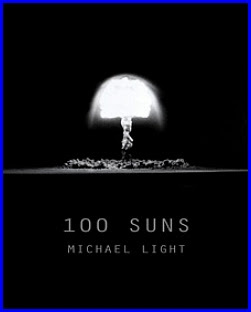 For the moment his website is being revamped, and the images of the "100 Suns" book are not available. Next time you are in the book store, see if they have it, it's an amazing collection of images. Seriously, I didn't even know this existed. I'd imagine the larger versions shown in the exhibit were impressive. Thanks! Yes, they were very simply mounted, if I recall correctly, nothing fancy, mostly just mounted on some kind of black board backing. But seeing them so large and many in color (even if false color), was awesome. I would not have known about the exhibit if it wasn't at the museum here. I've always been fascinated by those glowing clouds, and got inspired by the exhibit to maybe try to paint some of them soon. Yeah, another book to buy, I hear ya. :-) Have you seen his book Full Moon? Verrrrry beautiful, if you like lunar science and photos. There is a large and small version of that book. That one is all enhanced NASA photos from the moon missions. We are so lucky to have lived in the 20th century to see that happen.